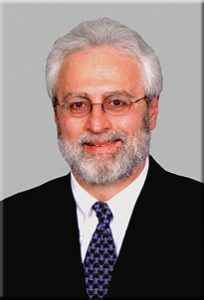 Bruce Greenfield has proven his consulting capabilities in a wide variety of projects and organizational settings, in both the private and public sectors. Industry experience includes education, government, service, not-for-profit, manufacturing, distribution, retail, food service, healthcare, insurance, and transportation. Bruce’s primary emphasis has been the area of resource management – for example, organization development/restructuring, workflow engineering, operations and productivity improvement, project planning and management, work methods and procedures. He also spent several years in information systems consulting – designing and developing software, implementing turnkey systems, and training users. With this broad skills/experience base, Bruce looks at an organization from a comprehensive perspective…yet maintains a firm grasp on the details. Recommendations are practical and results-oriented, geared toward the needs of today while anticipating the challenges of tomorrow. Accordingly, Bruce understands the importance of balancing analytical capabilities with strong interpersonal and communication skills. He creates a supportive, collaborative project environment, and interacts effectively at all levels of an organization.